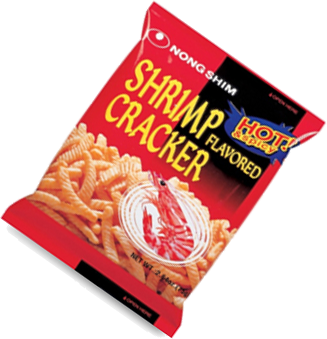 Spicy Shrimp Crackers are a spicier version of the Shrimp Cracker product. 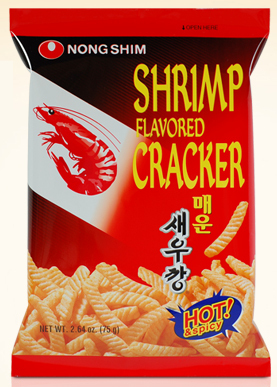 Shrimp crackers is the most log-lived snack in Korea. It has been 30 years since it was produced first in December 1971. 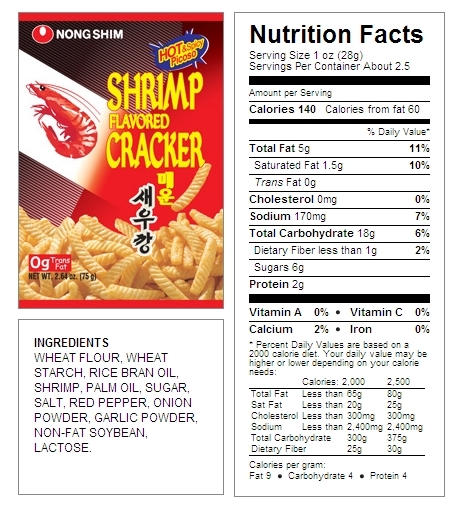 One bag of shrimp crackers contains 5 shrimps. As it is less sweet, people of all ages would love it. It has no artificial flavors nor colorings and very soft texture, thus has gained popularity in overseas markets.